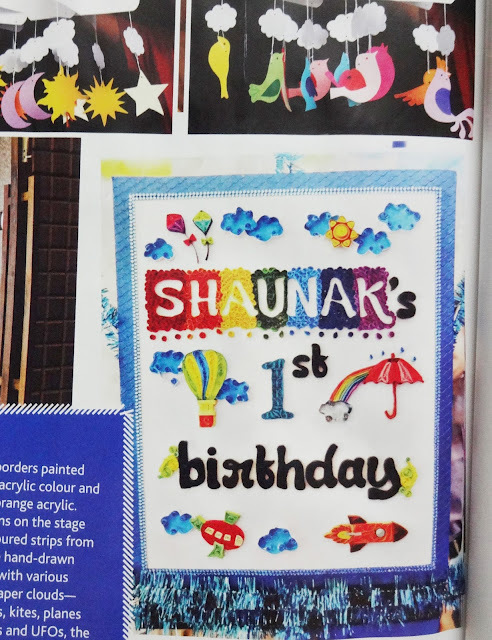 My heart is thumping with excitement! My work has got featured once again! 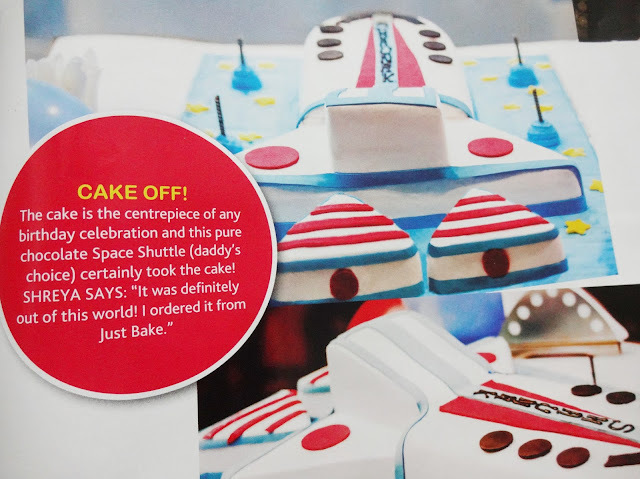 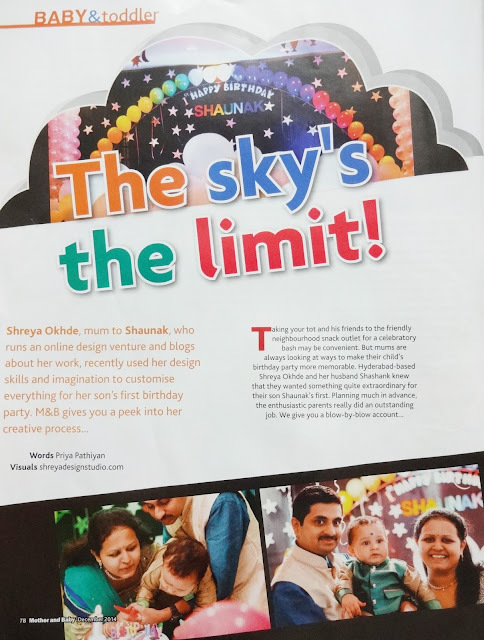 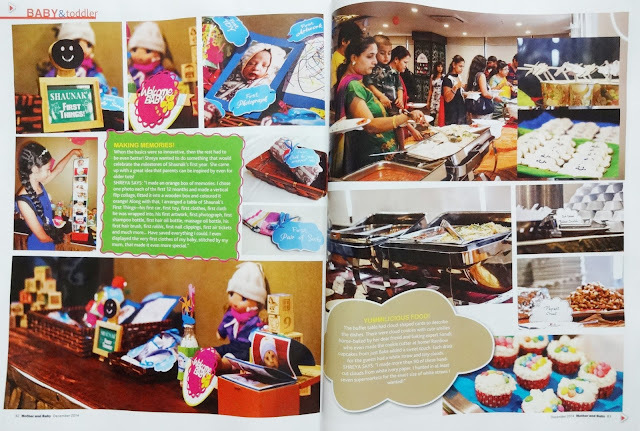 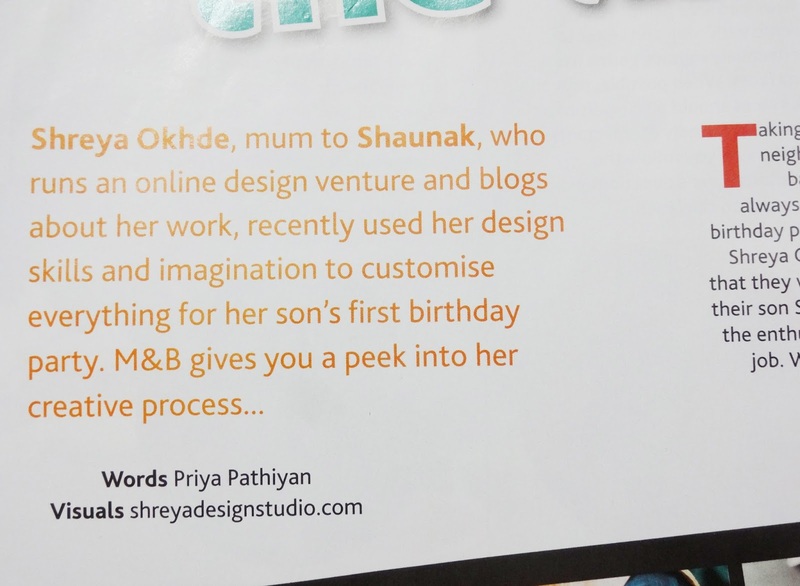 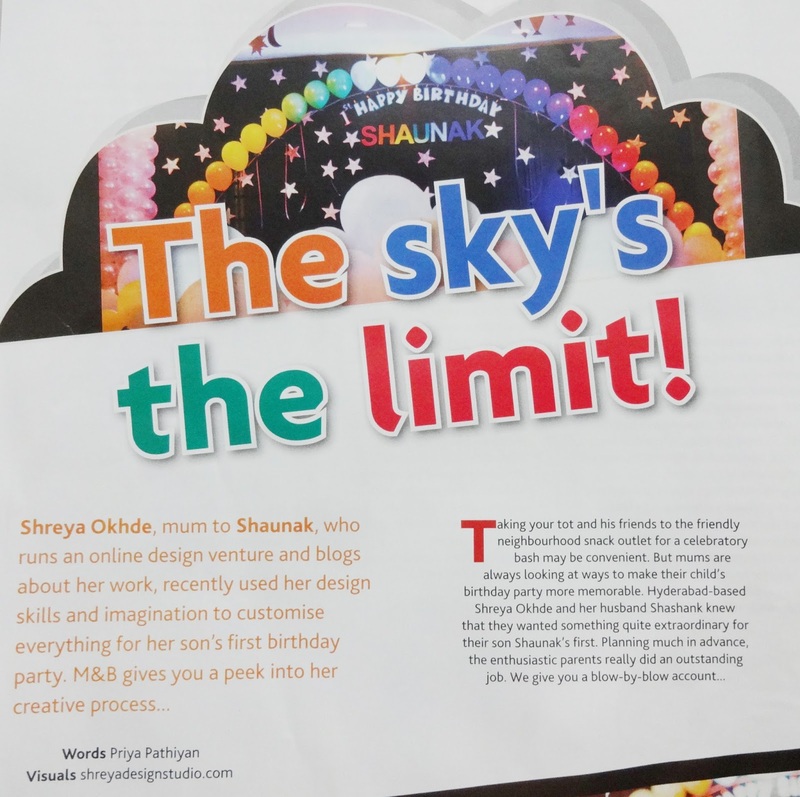 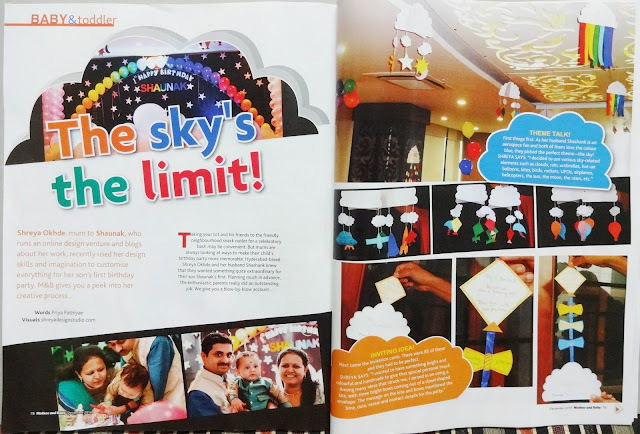 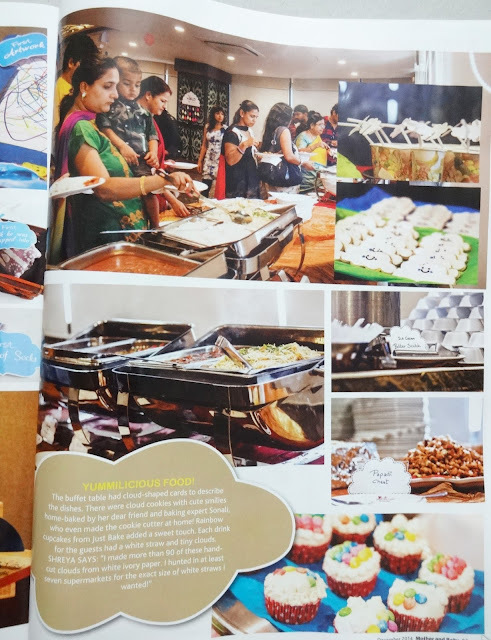 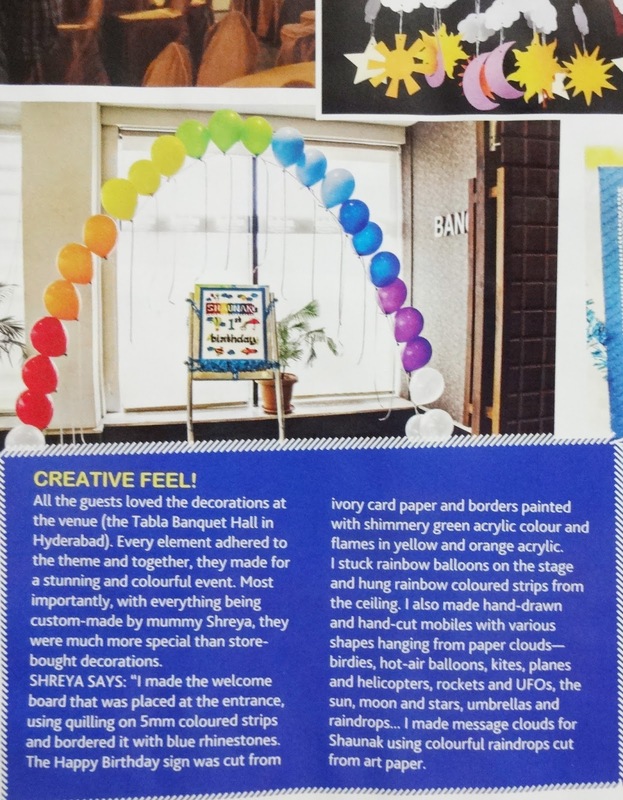 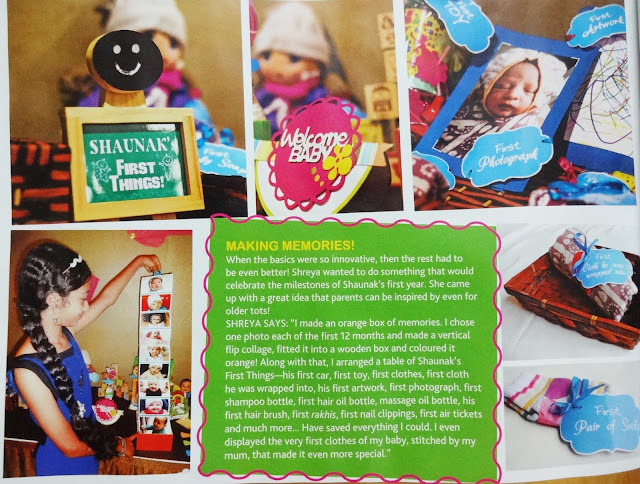 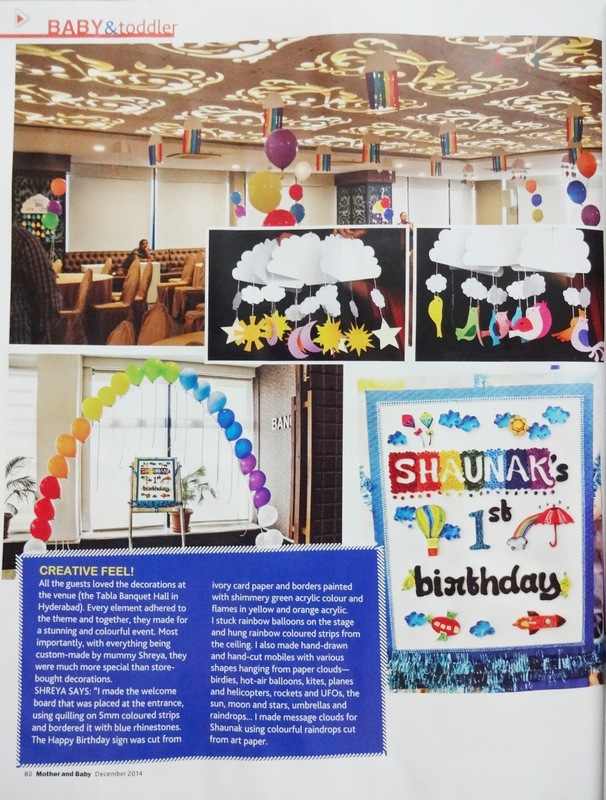 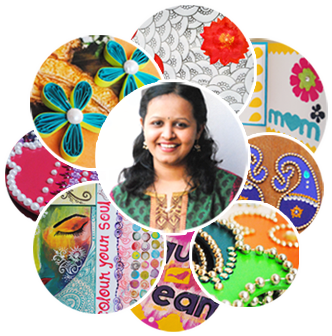 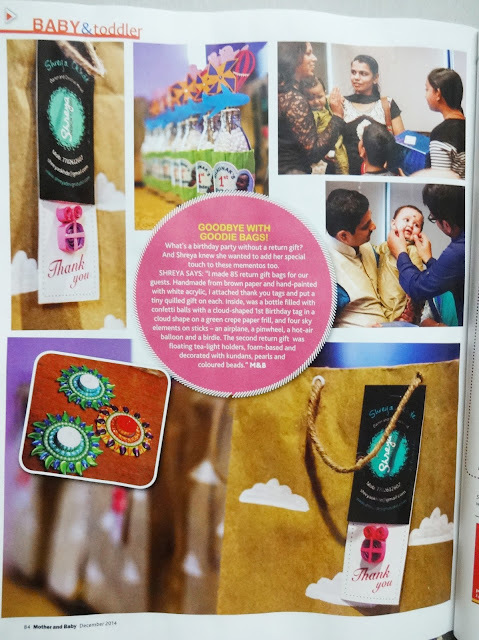 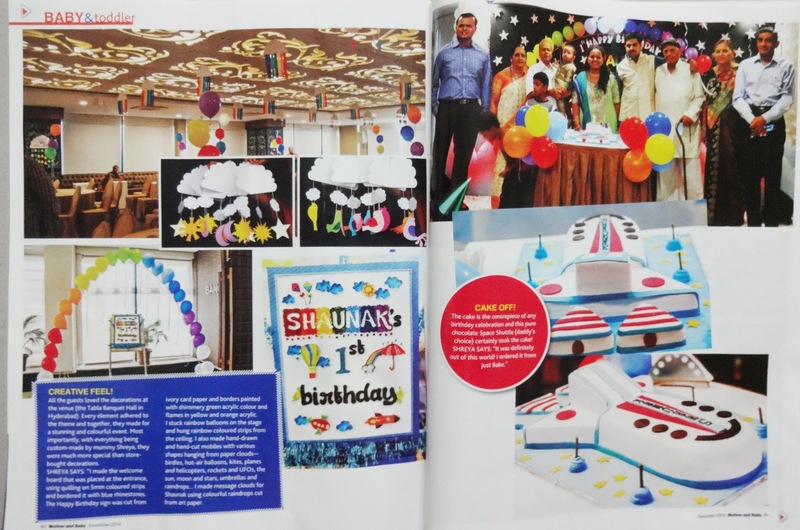 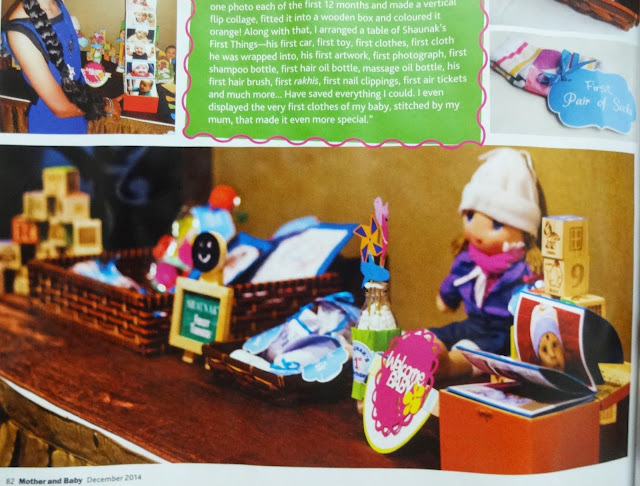 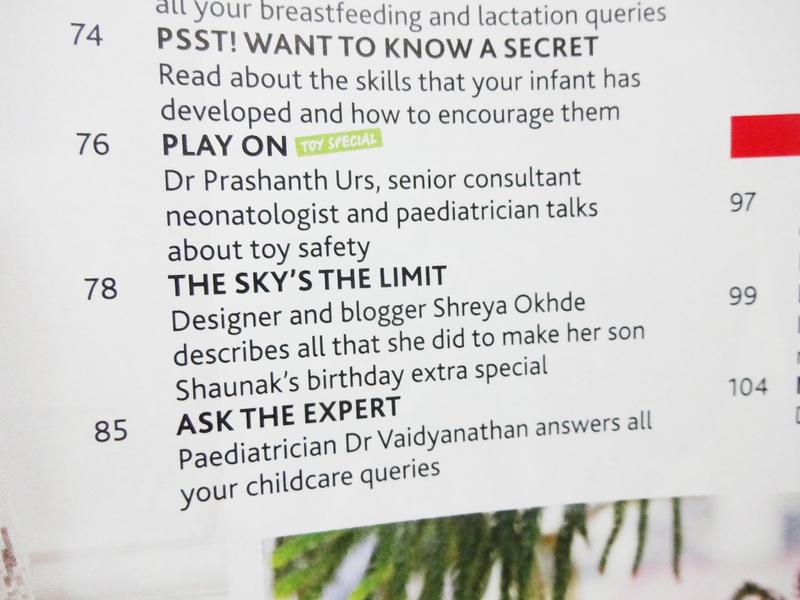 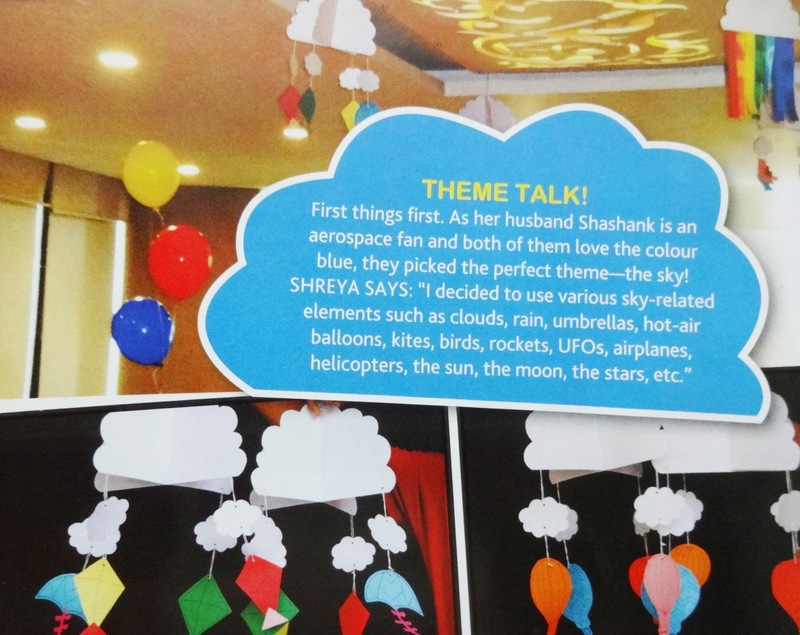 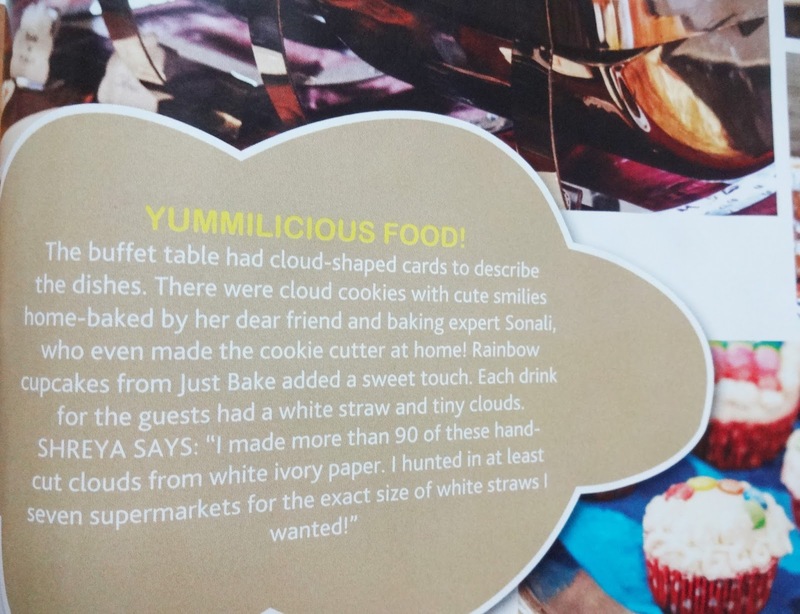 Shaunak's 1st birthday party is featured once again! And this time its more glossy and glamorous than ever! 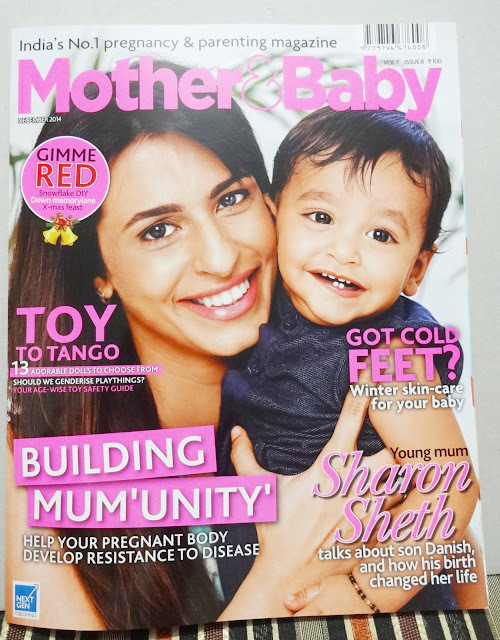 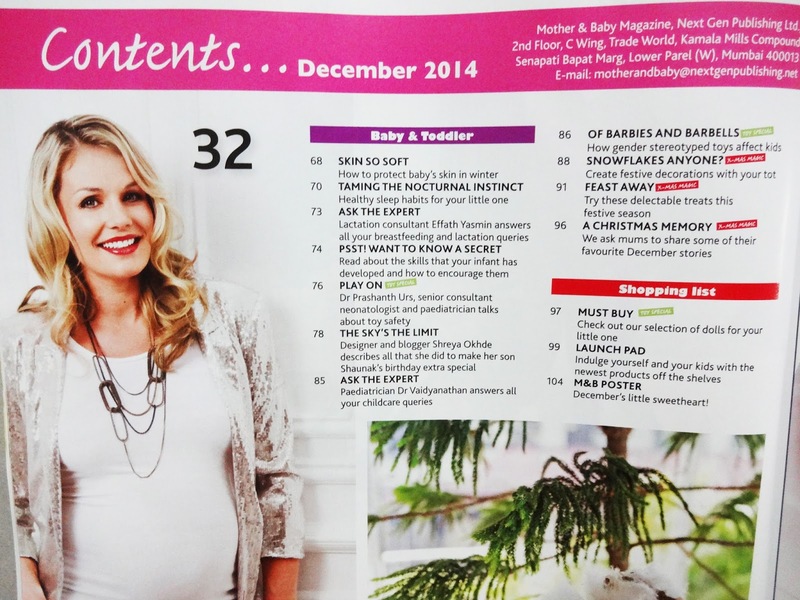 India's No.1 Parenting Magazine- Mother & Baby's December 2014 issue is out and is in my hands! I was interviewed by Editor Priya Pathiyan, who has beautifully covered the party, has mentioned about every detail and has included wonderful photographs. Can't thank her enough and the entire team of Mother & Baby, thank you for making me feel on top of the world!